Sapa is a marvelous place where tourists can visit at any time of the year. In each season, Sapa has its own beauty to attract visitors. In the summer, when Hanoi suffers hot weather, Sapa is the ideal place to enjoy the cool air. 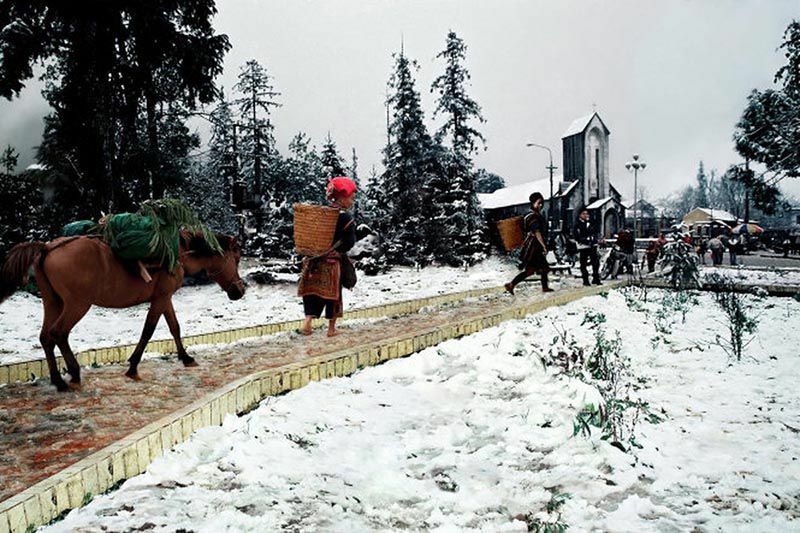 When winter comes, visitors coming to Sapa feel like they are walking in Europe in winter. 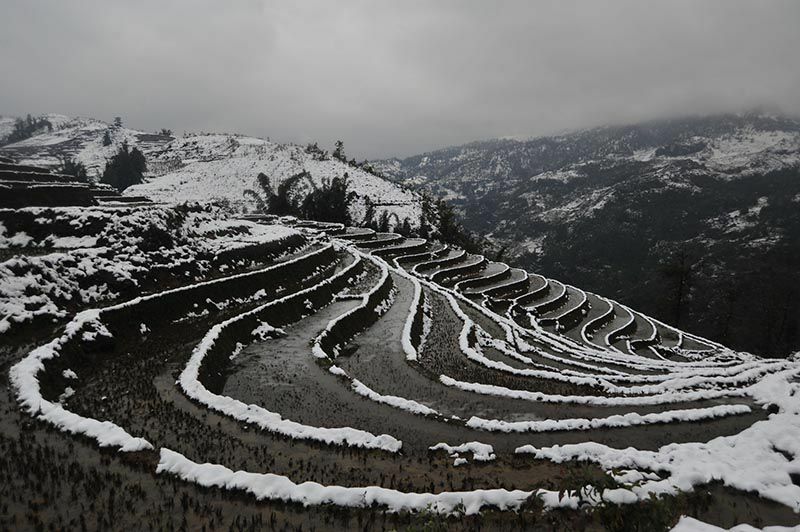 It can be said that travelling Sapa has become the trend of winter tourism in recent years. 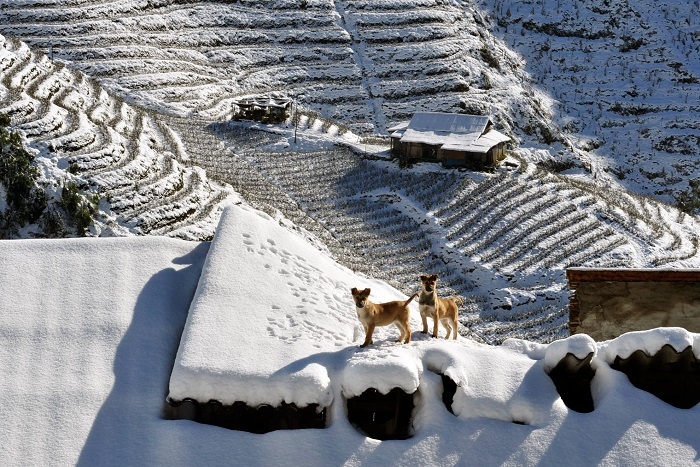 It is no coincidence that many tourists want to discover the charm of Sapa in the winter. Coming to Sapa in the winter, you will have opportunities to explore extremely enjoyable experience. Sapa is known as the fanciful town in fog in Vietnam, especially in the winter when Sapa will be submerged in cold mist. The scenery is poetic by the roofs, the roads, the hills covered with a silver color. Visitors coming to Sapa to travel in the winter, especially in December and January will have chance to enjoy the cold of European countries when the outdoor temperature is sometimes below 0 degrees Celsius. 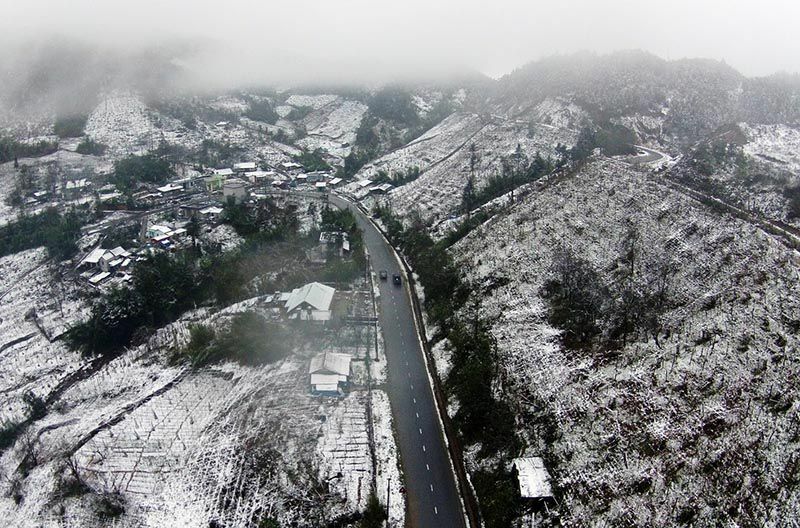 Under the cold weather, now Sapa also has ice and snow in the winter. We have thought that this can happen only in the Western countries, but now even in Sapa, Vietnam we can watch snowfall. Therefore, if you want to have a fun experience with snow like in Europe, please make a plan right away. Sapa is famous for a wide range of delicious and unique dishes. Grilled skewered food may be one of the most delicious delicacy that all visitors wish to try at least one. Grilled dishes and hot pot is the food to throne in the cold season, the colder the better and the more delicious. As a result, enjoying these two Sapa dishes is the most exciting and memorable experience in the world. Sapa is also known as the kingdom of specialty vegetables eating with pork, buffalo meat, … so the taste of barbecue, hot pot here is different and better than grilled dishes in other regions. Furthermore, do not forget to fulfill your belly with many local food in Sapa, such as: Thang Co (Thắng cố), Sapa Cap Nach pig (Thịt heo cắp nách Sapa), Pau Play Day cake, Salmon Sour Hotpot, Bamboo sticky rice (Cơm lam), Brook fish, Tao Meo wine, …. Go sightseeing Sapa in the winter is also a very enjoyable experience that you should try once. Maybe the weather makes you feel cold at first but the misty roads, and snow are really beautiful scenes you should not miss. And it seems that the cold of Sapa winter only makes people come closer so that no distance, no longer afraid to hold hands, or hug people around. It will be even more fascinating when you are sipping a cup of warm tea. The last reason this article wants to share with you when travelling Sapa in winter that is, going to feel the lives of people here. When you have had a full life, full of happiness; have you ever spent just a few minutes settling down to think, and to contemplate the unfortunate, unlucky life? 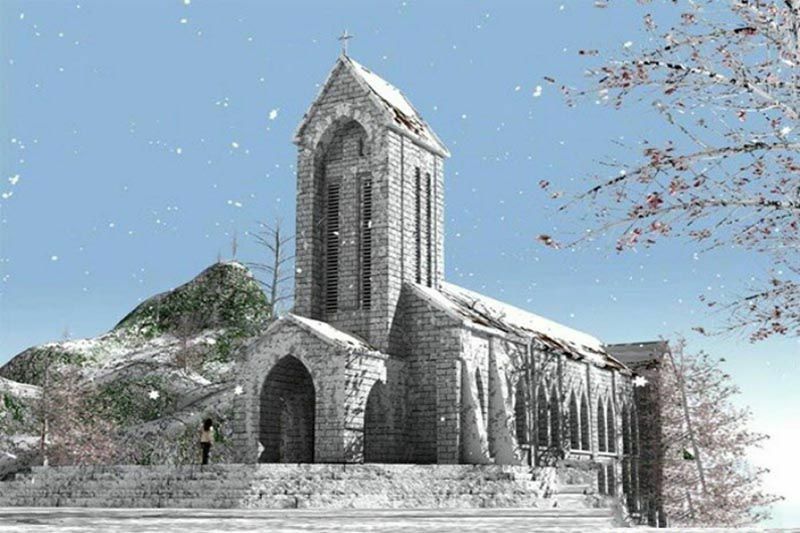 This winter, let’s go to Sapa, to sympathize and share with the local people. There are many reasons for you to love a land. Sapa will make you feel close, warm by the simple beauty of the scene and people here. Since life is a journey and experience, do not hesitate for a moment, be ready for a trip to Sapa in the coming winter!